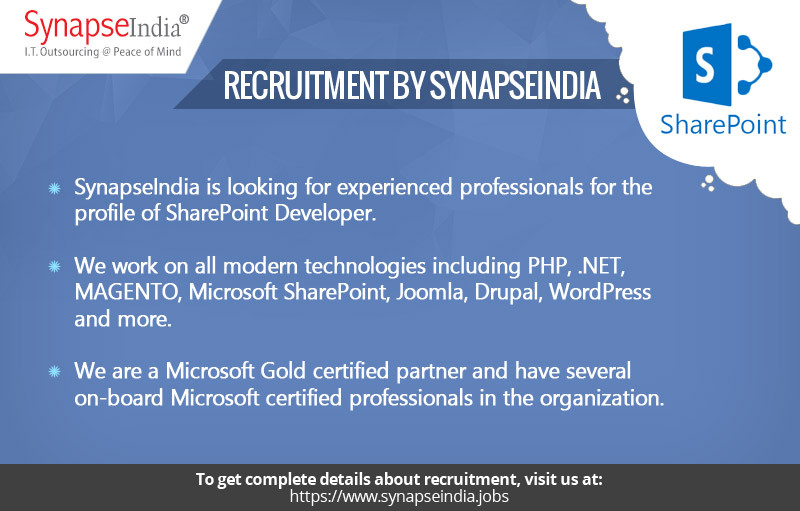 SynapseIndia Recruitment team is looking for experienced professionals for the profile of SharePoint Developer. We work on all modern technologies including PHP, .NET, MAGENTO, Microsoft SharePoint, Joomla, Drupal, WordPress and more. We are a Microsoft Gold certified partner and have several on-board Microsoft certified professionals in the organization.